When my sister-in-law showed me some pictures she sent me, from a friend of hers, of Bora Bora, she wanted my help to see what kind of look we could come up with for her bedroom to look like a relaxing place on Bora Bora….sooooo like any good sister-in-law would do in return, I made a Moodboard for her. Just in case you can’t read where everything is from in the moodboard. Here are some of my inspiration pictures to give her some ideas. I know they are not all bedrooms, but I was trying to show her all the colors together. This is a Candice Olsen room. LOVE!!! 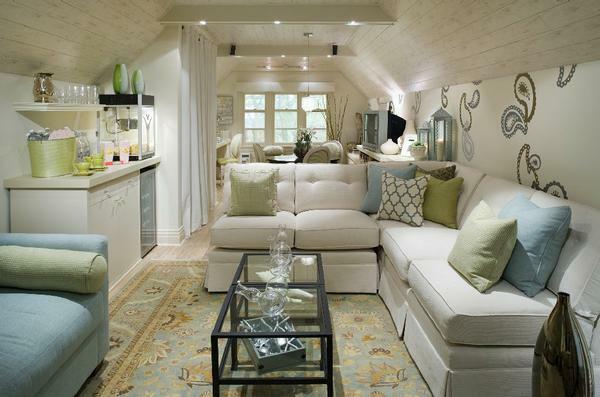 I love how bright and beachy feeling this room is feeling to me. It’s light and crisp. Great place to relax. 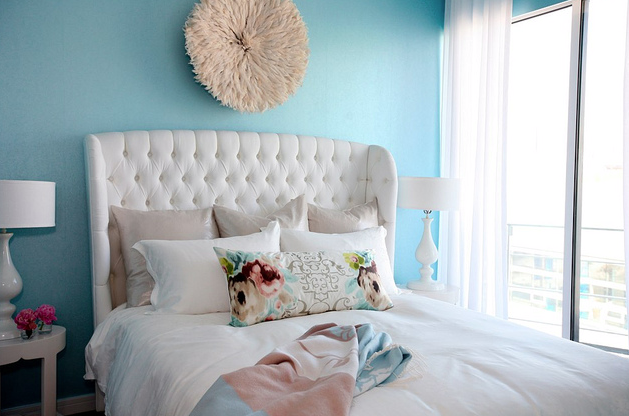 She wants white bedding with turquoise walls & hot pink pops. She wants to be able to recreate the water color in Bora Bora. The hot pink pops of color are found in the flowers on Bora Bora. She loves Peonies, so we hope to find some gorgeous hot pink faux ones. 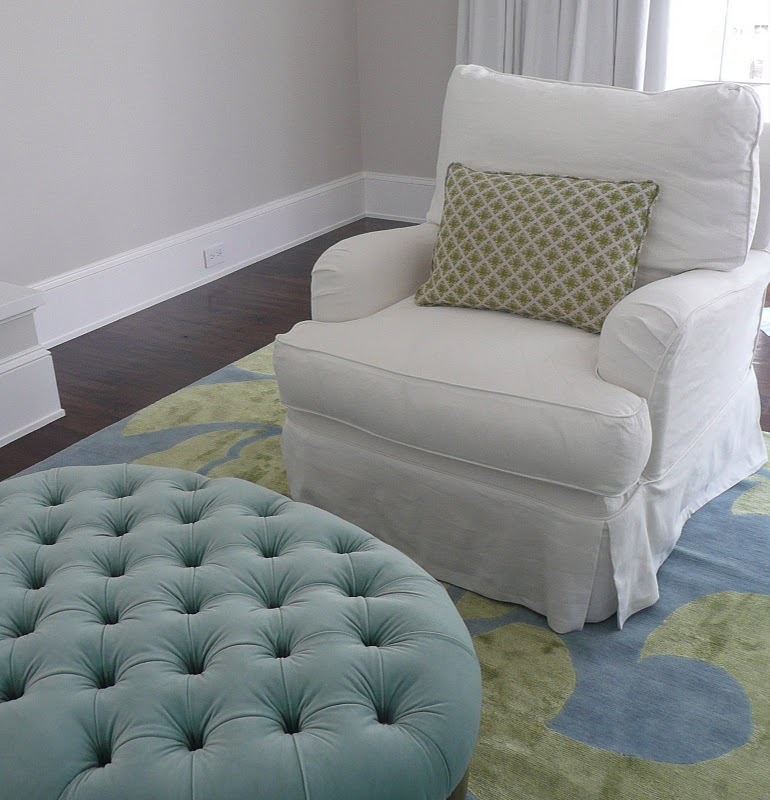 Here you can see the darker floors with white curtains and the blues & greens she would love to incorporate into the room. 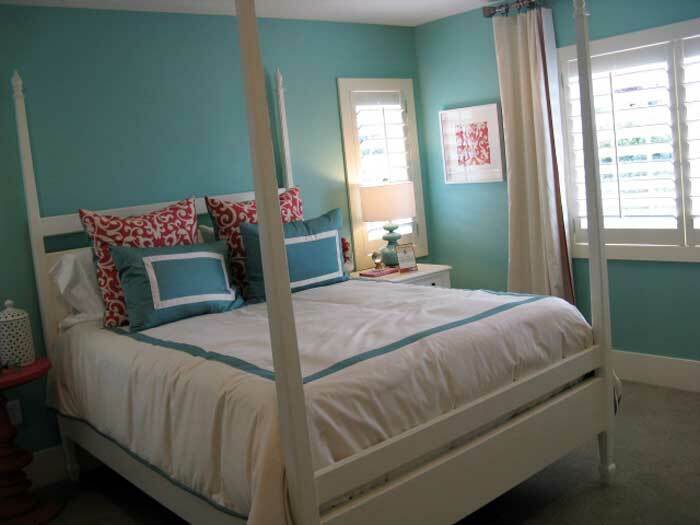 I thought this room was pretty inspiring from the Turquoise on the walls, to the white furniture, to the white bedding & curtains, to even the hot pink pop of color on the night stand. This room brings in the hot pink pop of color even more. Love it!!! Welcome to Bora Bora. O.M.G. this place is gorgeous!!! Makes me want to go on vacation right now. These thatch huts of sorts made me think of Bamboo or Sisal rugs for the room. So I thought I would throw a braided bamboo rug into the moodboard. Plus this picture has the green palm fronds she loves, the blue sky & water. Even the inside of the huts have the wood that she wants on her floors. I love when inspiration comes from nature like this. This room makes me want to quit my job, jump on a plane and just live in Bora Bora and be relaxed every day of my life. A girl and dream right? I think this picture says it all by itself….relaxation. Love these gorgeous hardwood floors. OMG I love this gorgeous picture. Blue skies, turquoise waters and that gorgeous wood dock. Now that is what relaxing is all about right there. There goes that blue & green color scheme again. This has to be the perfect color Turquoise I have ever seen and it’s all natural. Thank you Mother Nature. Crystal clear water, the bluest skies, and pops of hot pink. Even nature has it’s own pops of color. 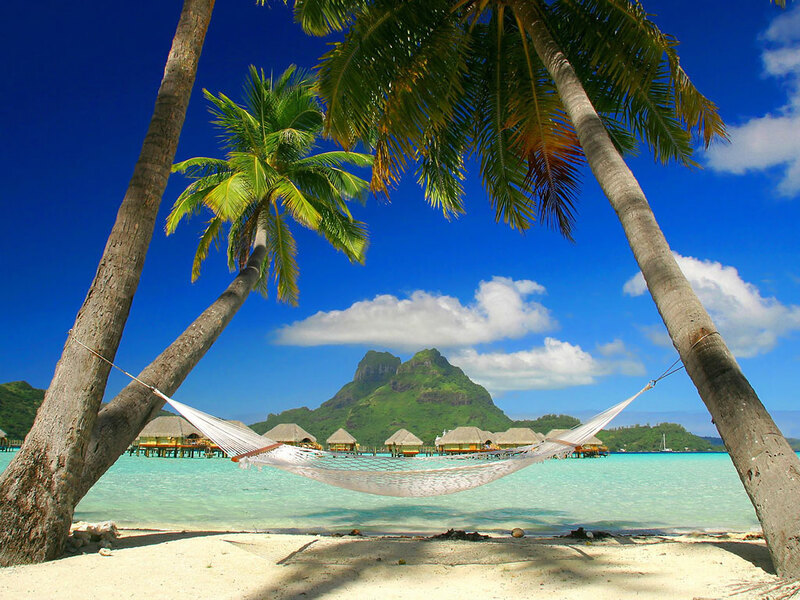 Anyone ever go to Bora Bora or another gorgeous island like this? We have been to Hawaii and St. Thomas and they are gorgeous as well.